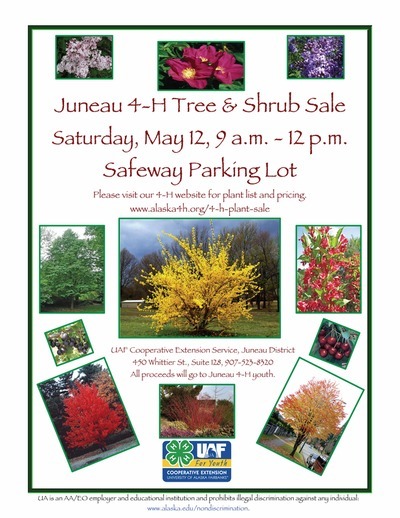 The Juneau 4-H Plant Sale is Saturday, May 12! 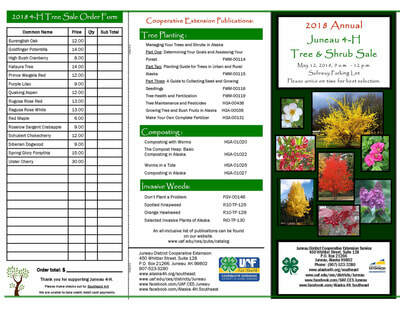 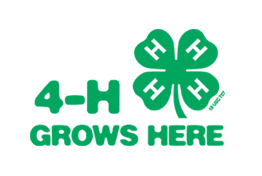 Tell all your friends to drop by the 4-H booth at the Super Plant Sale in the Safeway parking lot, starting at 9 a.m. sharp, running till noon, Saturday May 12th! 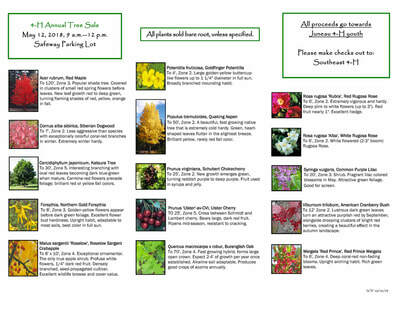 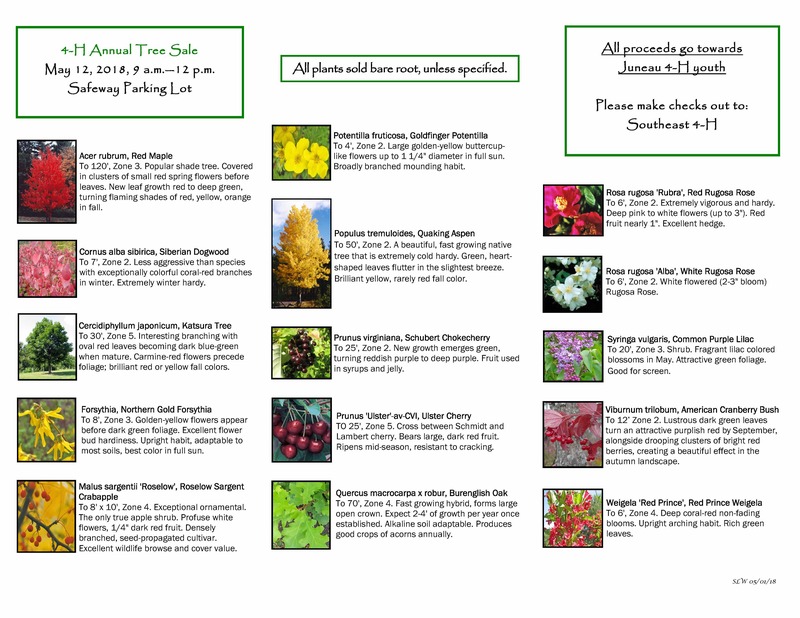 We have reasonable prices on cranberry bushes, crabapple and cherry trees and much more. 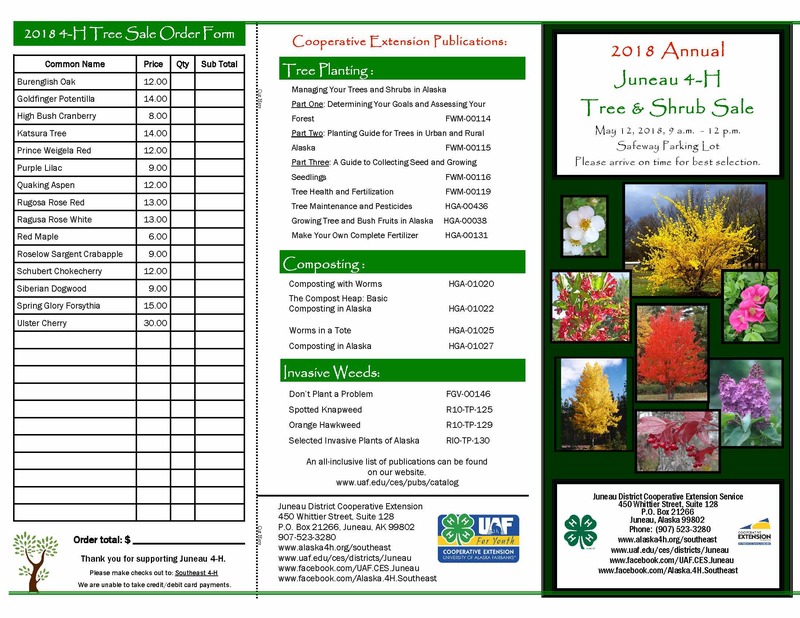 All funds go to support 4-H Youth Programs including scholarships for kids to attend our AK Experience Camp this summer!